The equipment is the same, only the name has been changed. 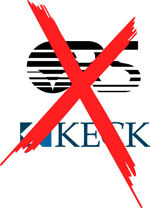 All instrumentation bearing the brand names Keck and ORS have been modified to Geotech. 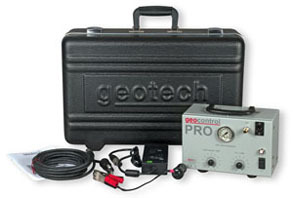 The Geotech brand represents our laser focus on providing the highest quality products for performing sampling, monitoring and remediation. We feel that Geotech more accurately depicts our dedication to a superior environment, an outstanding customer service experience and 24-hour technical support. 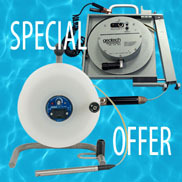 This equipment is still available from Geotech Environmental Equipment. 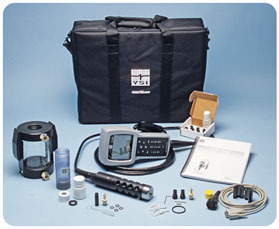 We're excited to simplify your experience with our equipment. Please let us know if we can do anything else to improve. You may have noticed a new color in your package deliveries – GREEN! That's because Geotech has started using a more biodegradable packaging material for shipping. The new green air cushion material is ISO 9001 certified and made from 100% recyclable material. 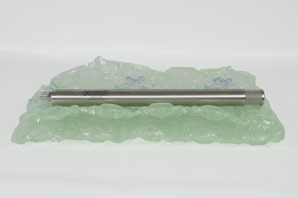 A proprietary additive allows it to degrade more quickly than traditional forms of bubble wrap. The new material also works better to protect your shipment with an air transfer technology which acts as a shock absorber. We're working hard to ensure your packages are delivered safe and sound! Orakwue Benedict, an engineering geologist, took these pictures while working at borehole sites in Nigeria. Left to right: Geophysical logging of a borehole at Ogwashi-Uku, Nigeria, using a Geotech Borehole Resistivity System with a 500 foot cable and probe. Ben Stegg, Adamu Danjuma and Chiedu Innocent are in the picture. Pumping test of a borehole at Agbani, Nigeria, using a Geotech ETL Water Level Meter. Ejiofor A. is doing the testing while a village boy named Christian helps. 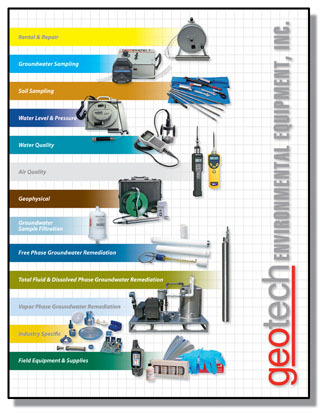 Look for Geotech Environmental Equipment, Inc. at the events listed below. NEW for 2012 -- The Nielsen North American Environmental Field Conference and Exposition has gone bi-coastal with two great locations. Join us in San Diego's abundant sunshine in February 2012 or in Tampa in March 2012 for 4 days of interactive indoor and outdoor workshops, field equipment demonstrations, an indoor exhibit area, an outdoor exhibit area, and several scheduled social events. A wide variety of stakeholders in environmental site characterization, sampling, monitoring and remediation will be represented at these events, including environmental consultants and contractors; Federal, State, tribal, regional, county and local government officials (regulatory and non-regulatory); DOD and DOE environmental staff and contractors; private industry environmental staff (petroleum, chemical, utility, manufacturing, mining, waste disposal, and others); and academia. 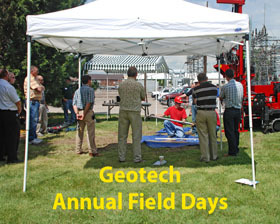 Please stop by and visit us, Geotech will be in booth 205 at both events. This year's conference on Water, Wastewater, Source Water, Groundwater, Management and Operation Certification issues covers a wide range of programs with multi-simultaneous sessions. 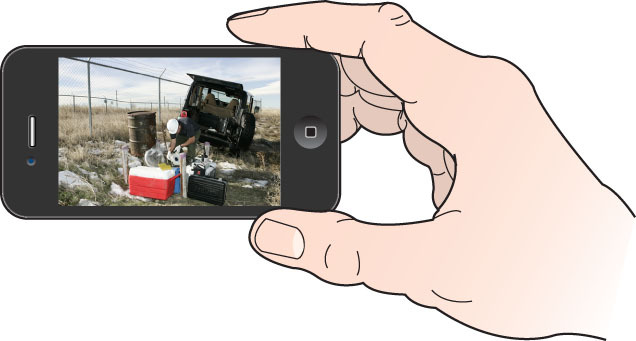 Geotech will be in booth 207 to answer all of your rural water monitoring, sampling and remediation questions. Join us at the 114th National Western Mining Conference & Exhibition, one of the longest running conferences in the west. The conference will feature presentations on the latest developments in mining. Visit us in the exhibit area in Booth #28. 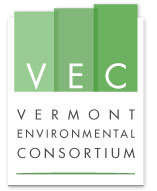 In partnership with the Vermont Agency of Agriculture, the Vermont Agency of Natural Resources, and the Vermont Agency of Commerce and Community Development, the Vermont Environmental Consortium (VEC) will hold a conference to consider what the right mix of public policy tools – including incentives, technical and financial assistance, and regulation – should be developed for addressing water pollution in Lake Champlain. 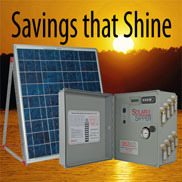 Prices and promotions mentioned in this newsletter are valid through February 29, 2012. 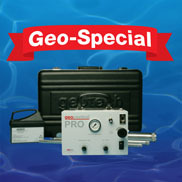 © 2012 Geotech Environmental Equipment, Inc.